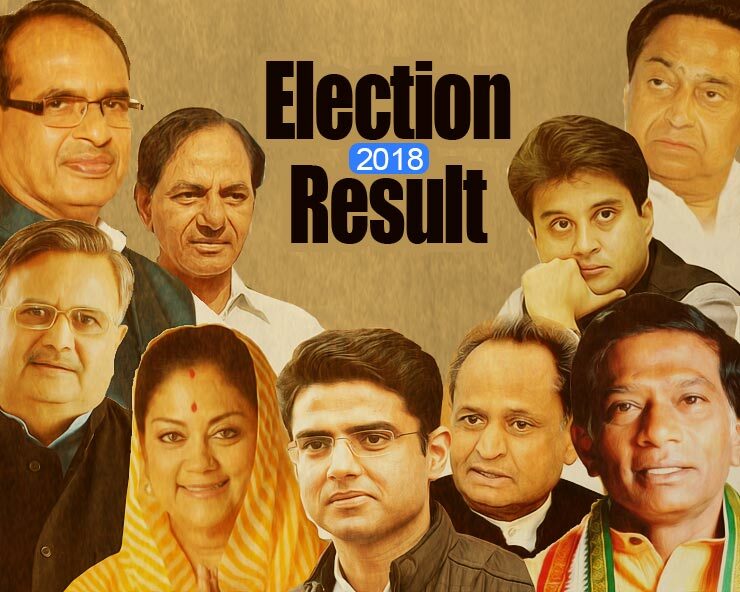 New Delhi: Counting of votes began on Monday for elections to Chhattisgarh, Madhya Pradesh, Mizoram, Rajasthan and Telangana state legislatures. The counting began at 8 am and as per earlier norms, postal ballots are being taken up first.In Chhattisgarh, counting is being held for all 90 Assembly seats. Counting centres have been set up in all the 27 district headquarters of the state. In Madhya Pradesh, counting is taking place for 230 Assembly constituencies. Elections to these states and especially the three Hindi heartland states are being billed as semi-final before the next year's parliamentary poll. BJP has been in power in these two central Indian states for last 15 years.In Mizoram, 13 counting centres have been set up across the state for counting of votes for polls held for the 40-member Assembly. The Congress under Lalthanhawla has been in power in this northeastern state.This state is also known as being the last bastion for the grand old party in the northeastern region where it has ruled in all the states for most years in last six last six decades. In Telangana, votes are being counted for 119 Assembly seats where K Chandrasekhar Rao-TRS is in power since 2014. The Chief Minister had advanced the polls in this state as otherwise elections in Telangana were due by April-May next year only.